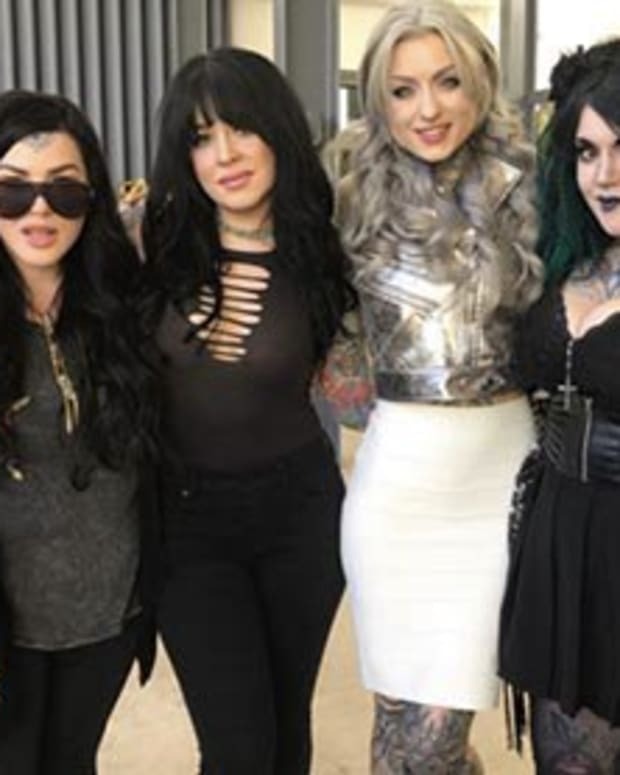 Last night Ink Master crowned its first ever female champion–and she&apos;s a good one—Ryan Ashley Malarkey. 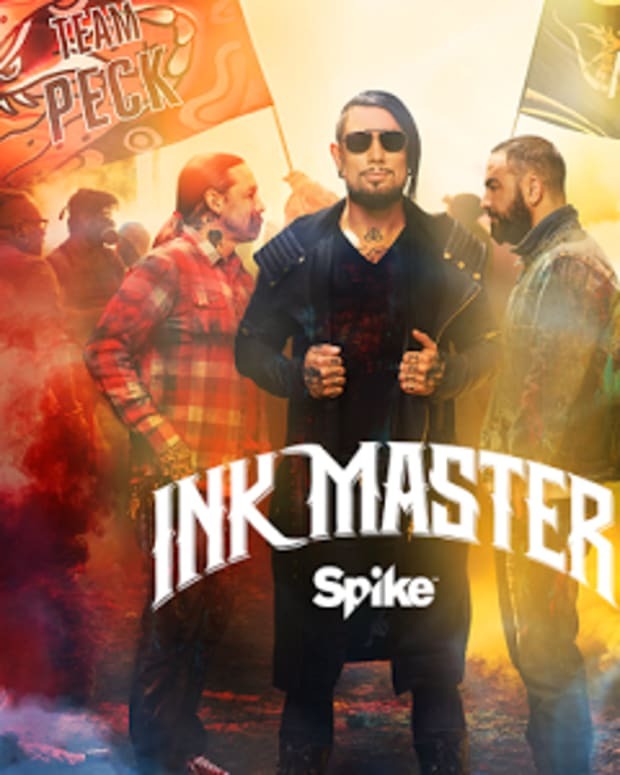 It took eight seasons but Spike TV and the viewership found a deserved woman champion in the intricate black-and-grey tattooer. Ryan Ashley tattoos out of Kingston, PA where she also owns an oddities store The Strange and Unusual—find a stocking stuffer for the unique person on your holiday shopping list. 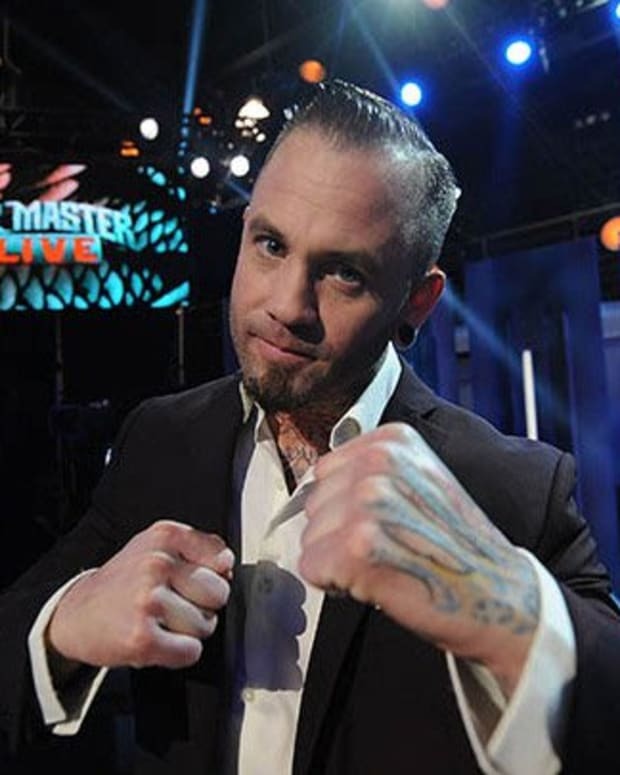 In last night&apos;s live finale in New York City Ryan was up against a fan favorite Kelly Doty and a previously unheralded quality tattooer Gian Karle from Puerto Rico. The three assigned 24-hour master chest canvases in styles by their opponents...lest we say not their preferred genres. Before those were revealed at the Live finale the tattooers worked on 7-hour pieces which the public voted on via Twitter. Ryan Ashley made a beautiful watercolor gold fish, Gian a Japanese-style elephant and Kelly rocked out a new school Dave Navarro riding a bat piece. The public voted via Twitter to keep Ryan in the competition. It was a tough call for the judges to pick between Gian and Kelly&apos;s tattoos. 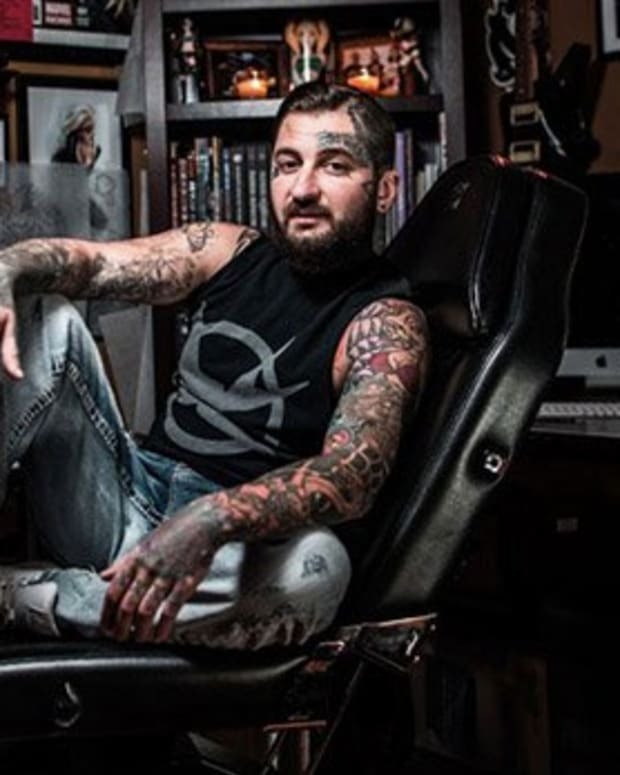 Chris Nunez said that Gian&apos;s was one of the best Japanese pieces he&apos;s ever witnessed on Ink Master and Navarro was floored to see himself in a new school piece of artwork. The judges ultimately decided to send Kelly packing before she was able to reveal her master canvas, which you can see here. The crowd at the live taping was pissed about Kelly&apos;s dismissal, warranted or not. Ryan revealed her master canvas first which was in the style of a &apos;90s era new school hot rod. Inked&apos;s editors immediate thought was that it was a solid tattoo but funky and not really a showstopper. But as we examined her clean lines and beautiful chrome made through a mix of whites and blues we were taken back to the time of barbed wire arm bands and realized that she completed the task expertly. Ryan was given the chore of doing a &apos;90s era tattoo and she not only pulled it off, she elevated the style. Gian was given the assignment of completing a watercolor coral motif. Upon first look it was a nice miasma of light colors around an old school skull. Sort of what we might imagine a fish tank in a tattoo shop to look like. However though the palate mimicked watercolors the application wasn&apos;t in the tattoo style we think of when we envision watercolor tattoos. The judges seemed to like Gian&apos;s design, Navarro even said that he doesn&apos;t like watercolor but liked Gian&apos;s tattoo. The crowd seemed mixed on who was more deserving of the win. Then it came decision time. 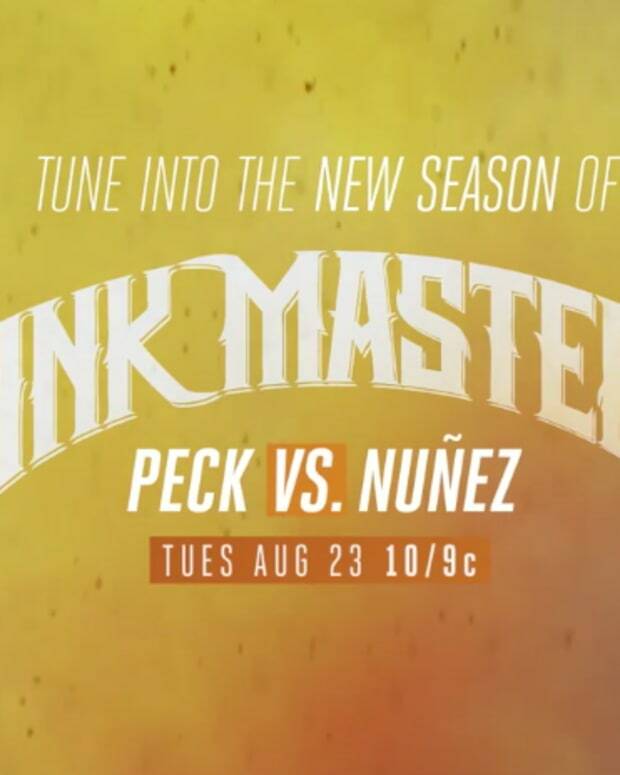 With Nunez and Oliver Peck split, Navarro cast the deciding vote and it was for Ryan Ashley our first-ever female winner of Ink Master. Along with the title, Ryan Ashley wins $100,000, a guest spot at Peck&apos;s Elm Street Tattoo and a feature in Inked magazine. Congrats Ryan, we are proud of you. See tattoos and photos from last night in the following pages.